This edition of The Week That Was is sponsored by Gillette Super Speed razors. Here’s Al Helfer. Spring Training officially begins this week. I’ve been waiting since the end of last season. It’s been a quiet week here. That’s the way I like ’em: no news is good news. Had a good week as well, so let’s get down to it. It being Valentine’s week, the theme was, naturally, love. I put together a playlist that I thought was particularly good, and many of you thought so as well. Our featured artist this past week was The Platters. I actually came up with my own one-liner, something I said to one of my elderly bunch here when she kept demanding food. 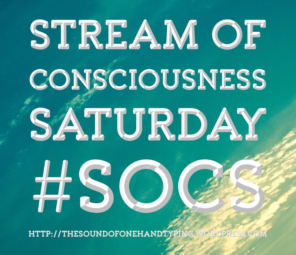 Posts where I have to list out my favorite YouTube channels are fairly easy for me to do. The hardest part is keeping it within the limit, in this case, six. This time I made sure that I hadn’t used them before. My current Battle of the Bands is over whether bossa nova queen Astrud Gilberto or 12-year-old phenom Angelina Jordan sings a better version (better meaning one you like better) of “Fly Me To The Moon.” Voting is open through Wednesday, after which I’ll tally up the votes and announce the winner. With regards to the Battle of the Bands, it’s been my practice to not respond to comments, lest I be accused of attempting to influence the voting. Blame it on my growing up in Chicago, where influencing voting is standard operating procedure on Election Day. I’ll reply to any comments after the voting is done and dusted. 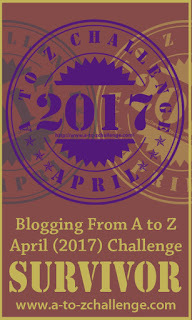 Also on Thursday, I reposted a message from the Blogging from A to Z April Challenge team, of which I’m a member, announcing a pre-challenge survey we’d like potential participants to complete for us. This year, one lucky winner will receive a prize package worth approximately $50 USD (I’ll leave it to you to convert to local currency). We’d appreciate your help. I had hoped not to have to rely on another survey post, but Friday got here and I was baffled, so I chose the Top 10 from Minneapolis-St. Paul’s KDWB from February 1961. It turned out to be a pretty good week for music, based on the comments I received. I went full-bore stream-of-consciousness on the prompt, “his/hers,” and the results were rather amusing, I thought. Most of you liked the old Boy Scout joke at the beginning. I’m glad. No plans at this end to do anything earth-shattering this week, but you can never tell with me. Absolutely can’t wait for baseball to start again. Seems like FOREVER ago!